Everything good in life will end before you know it, and with E3 2018, the final (third) day came very quickly. 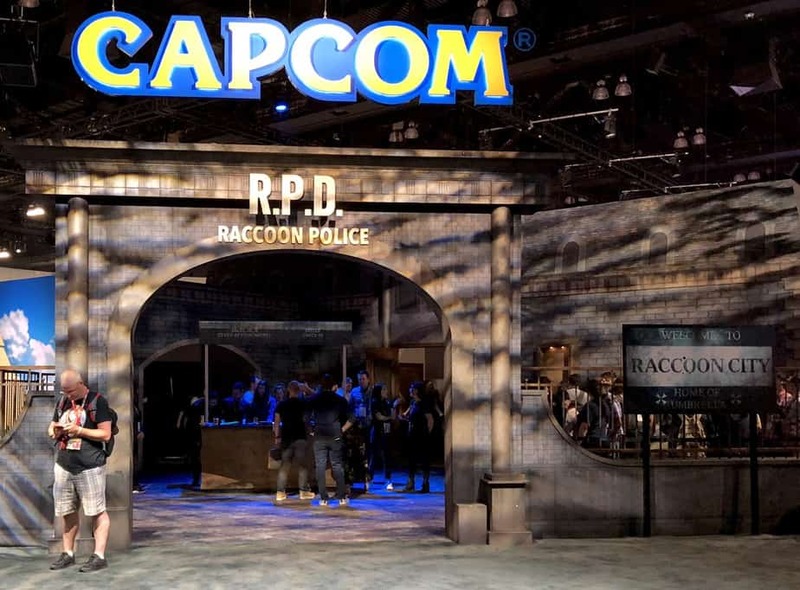 On this day, I wanted to see what some of the indies were planning, as well as trying out a couple more games on the show floor, such as Resident Evil 2 and Spyro Reignited Trilogy. My first appointment of the day was to visit the West Hall to see the PC demo of Rend, which is being developed by Frostkeep Studios. This company is on a mission to change up the team-based survival genre by using the Nordic mythos as its weapon of choice to create something fun and friendly for the masses. In the game Rend, players must pick one of the three available factions, then team up with other players (regardless of the person’s gaming skill) within that faction to survive the in-game elements, with the goal of beating the other clans. Frostkeep is focusing on trying to ‘vent’ the toxic internet trolls to have a friendly in-game environment, yet I am curious to see if this system will be able to successfully remove the ‘bad’ players long term. A few do get through, enough to be creating trouble in nearly every game out there. Rend uses a very thorough skill/tree system that would please any MMORPG player out there, while the crafting system is similar to Fortnite’s. For example, players build houses by using chopped wood or they can make something stronger by getting better materials through exploring the world. The world that Rend exists in uses a colorful palette to bring the landscape (and a giant tree) alive, as well as the game’s unique creatures. My favorite was the wolves, due to how cool they were in the design arena, and by the way, they are rideable too! Like with every survival game, Rend has a PvP system that allows players to loot another player’s home, or they can take part of certain events which will allow a clan to attack their opponents’ stronghold for a limited time. With my second appointment, I had the pleasure of meeting the people of Kasedo Games (in the Concourse Hall) to see their two upcoming PC games: a turn-based tactical game named Warhammer 40,000: Mechanicus and a world-building game called Rise of Industry. 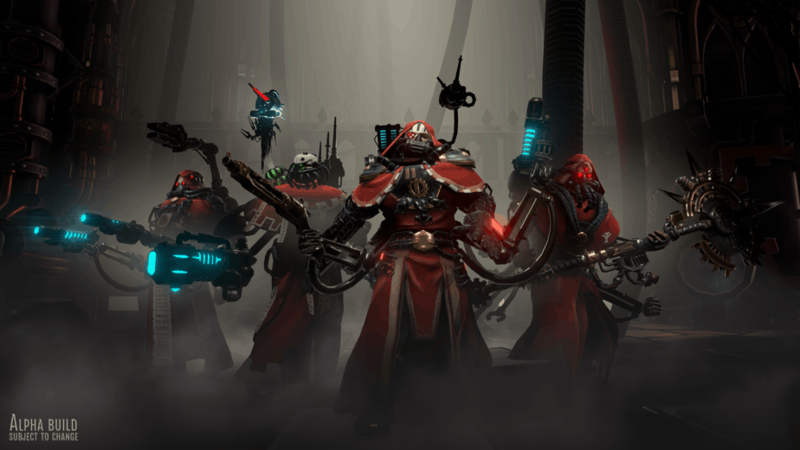 Mechanicus allows the player to take control of a force called Adeptus Mechanicus, with the help of a customization system that is for specific in-game classes and powers; to find that perfect combination for their team. 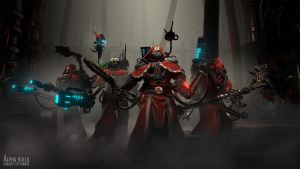 The game also allows players to go after alternate endings by helping certain in-game characters, which will allow them to explore more of the Warhammer 40,000 universe, that I believe should please the fan base quite well. Character movement is achieved through a ’tiles’ system that will also affect players’ attack ranges if they use their movement options too much. Like with every turn-based tactical game, players point and click where they want to go or to attack, activating their buffs, etc., to see the magic happen on screen. From what I saw from the E3 demo, it was beautiful to watch. 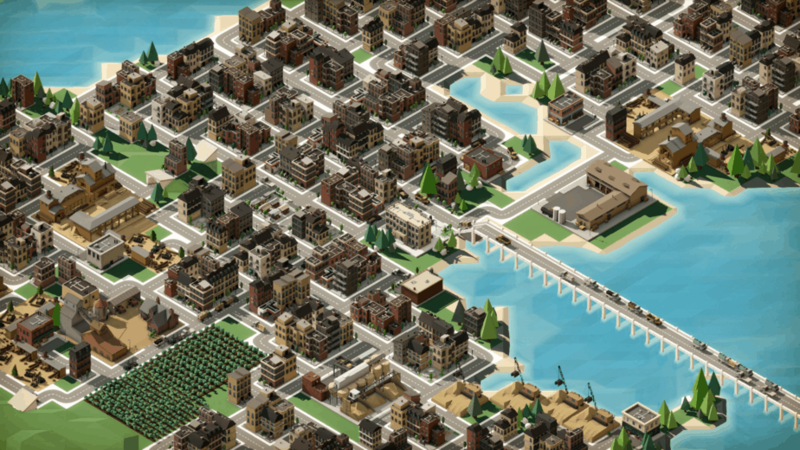 Rise of Industry is set in the 1920s; this game will allow players to build a local economy from the ground up in an already established town. 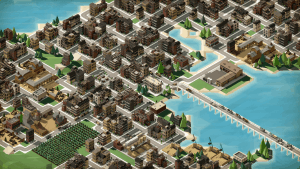 Each town will have its own personality, so it is important for players to take notice of that feature to have a thriving ’empire’ after planting a new headquarters. Also, it is important to take note of how much pollution factories will produce, since townspeople will not like it; you will acquire a bad reputation if it is not fixed. Otherwise players will have to hire a PR team to repair the damage, which will cost tons of money to do. So, like in real life, there are consequences related to decision making, which I found to be a cool mechanic. Mechanicus isn’t yet released, so stay tuned for an update there, but Rise of Industry is now playable as an ‘Early Access Game’ on Steam (which you can get by clicking here). 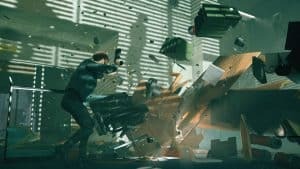 My third appointment was in the middle of afternoon to see Remedy’s new third-person action game called Control and, boy, does this game look great in the weird arena. Behind closed doors, I was able to see a playable demo not shown at the PlayStation press conference. Basically: Jesse Faden, who is the new director of the Federal Bureau of Control, as well as being the game’s main protagonist, enters the Federal’s headquarters to see what the heck is going on and that is where the fun, or rather the ‘weirdness’ begins. Jesse has telekinesis to fight off waves of AI or she can use her levitation powers to hover around, yet it was her gun that caught my attention. It can shapeshift into a pistol or into a shotgun in a instant that fits perfectly with Jesse’s powers. 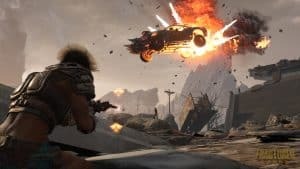 As for the world itself, think Die Hard meets Legion—our hero is stuck in a building, so she must fight her way out, while the weirdness level is set on high. Because of this, I am very much interested in learning more about this game. Speaking of which, I was able to interview Mikael Kasurinen, the director of Control for fifteen-minutes. He pointed out the game’s upcoming features and themes (like what was discussed above), while also adding that the side missions will allow players to dig deeper into Control‘s main storyline, after each run. Kasurinen also stated that the game will have unique boss fights, which means each encounter will be different for gamers. I did ask if Legion (somewhat) played a small role with the game’s development, because that TV series loves to be strange, it has a government agency dealing with the ‘sick’, and the main character also has telekinesis, but Kasurinen said that wasn’t so. Regardless, I had a blast in talking with him. Overall, the developer can’t wait to share more about their game soon, so look for Control sometime next year for the PS4, Xbox One, and PC. In my opinion, I do believe Remedy has something great here. I do believe that this game will fit perfectly in the e-sports market, due to how intense a match can get, while I’m sure a spectator mode will be available as well since almost every online multiplayer game currently has that feature. Overall, I am very much intrigued to see where this project goes long-term, due to the reasons stated above. The game, however, is still in pre-alpha so players are going to have wait a bit longer for the release. Hopefully, the wait isn’t too long. 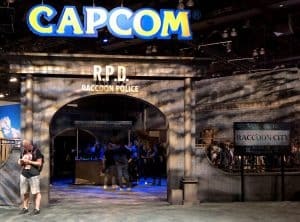 As I was heading back to the South Hall, I was getting ready to face some zombies thanks to Capcom’s Resident Evil 2 remake demo. If you have played Resident Evil 4, it played exactly like that game in the controls/pacing arena, but while being in third-person, with Leon Kennedy being a playable character. The zombies are slow but still determined to kill you and the gore is… let’s just say this game isn’t kid friendly. Located outside of the South Hall, the E3 demo of Spyro Reignited Trilogy was available to try out. In the seven-minute long demo, I played two levels as the fire-breathing dragon named Spyro, who is still using that third-person camera system, as well as being pretty adorable too. The visuals inside of the demo had a cartoonish look to them, which I thought fit perfectly for this type of remaster. It’s a talking dragon inside of a goofy world; it is not Dragonheart for crying out loud! As for the show itself, going to my first E3 was great! I thought this expo was done well, although since this is my first one, I can’t compare 2018 to the previous shows. Yes, with the Gamer badges, the show floor does get crowded and the lines for certain games do get long. But if you are trying for next year, and don’t mind the crowds, just plan accordingly and everything will be just fine. Now going through the new security rules/metal detectors were not bad at all, and in fact, I have no issues to speak of. From the staff to the security guards, I found everyone I met to be nice. Likewise, for the staff of each gaming room/booth. Overall, it was a pleasure in meeting everyone at this year’s E3, so is 2019 here yet? So, there you have it! With E3 2018 in the books, it is time to wait for the next round of games to come out this year and in 2019. I had a blast playing/seeing the games at this con, yet do remember that no matter how big or small a company is, everyone has worked their butts off to get to E3, thus I do recommend checking out the games I mentioned above and in my recent E3 articles. You never know, you may like one game or all of them. I truly believe that the future is bright for we gamers, due to what I saw at this year’s E3…the games were amazing to see! You want to talk about E3 2018? Then head over to the FoCC forum by clicking HERE to keep the chat going. Until next time, keep on playing your favorite video games and please keep following the blog as well!